The 2014 FIFA Club World Cup (officially known as the FIFA Club World Cup Morocco 2014 presented by Toyota for sponsorship reasons) was the 11th edition of the FIFA Club World Cup, a FIFA-organised international club football tournament between the champion clubs from each of the six continental confederations, as well as the national league champion from the host country. It was hosted by Morocco for the second year in a row, and played from 10 to 20 December 2014. Real Madrid won their first FIFA Club World Cup after defeating San Lorenzo 2–0 in the final, and their fourth world club title counting the 1960, 1998 and 2002 Intercontinental Cups, equaling Milan's record. In October 2011, FIFA said that Iran, South Africa and the United Arab Emirates all withdrew their bids, leaving Morocco as the only bidder. FIFA officially announced Morocco as host on 17 December 2011. 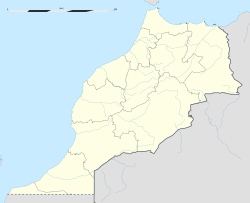 On 21 August 2014, FIFA issued a statement reconfirming Morocco as the host, despite recent rumours that a change in venue might be sought due to the 2014 West Africa Ebola virus outbreak. Morocco had cancelled its hosting of the 2015 Africa Cup of Nations due to fears of Ebola, but vowed to host the Club World Cup as no entrants would be from the countries with the most severe Ebola outbreaks. Location of teams of the 2014 FIFA Club World Cup. 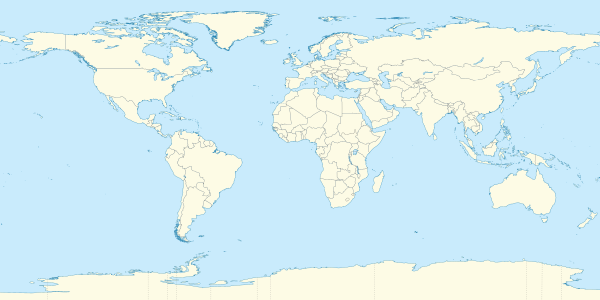 The venues for the 2014 FIFA Club World Cup were in Rabat and Marrakesh. † Replaced Colombian trio Wilmar Roldán, Eduardo Díaz and Alexander Guzmán. Each team named a 23-man squad (three of whom must be goalkeepers) by the FIFA deadline of 28 November 2014. Injury replacements were allowed until 24 hours before the team's first match. The squads were announced by FIFA on 4 December 2014. For elimination matches, extra time was played. If still tied after extra time, a penalty shoot-out was held to determine the winner. For the matches for fifth place and third place, no extra time was played, and a penalty shoot-out was held to determine the winner. All times are local, WET (UTC±0). A draw was held on 11 October 2014 at 19:00 WEST (UTC+1), at the La Mamounia Hotel in Marrakesh, to determine the pairings of the four quarter-finalists. The first semi-final was originally to be played at Prince Moulay Abdellah Stadium, Rabat, but was moved to Stade de Marrakech, Marrakesh due to difficult pitch conditions. Note: As per statistical convention in football, matches decided in extra time are counted as wins and losses, while matches decided by penalty shoot-outs are counted as draws. The following awards were given at the conclusion of the tournament. ^ a b "Match Schedule – FIFA Club World Cup Morocco 2014" (PDF). FIFA.com. Archived from the original (PDF) on 3 December 2014. Retrieved 9 December 2014. ^ a b c "Regulations – FIFA Club World Cup Morocco 2014" (PDF). FIFA. ^ "Morocco to host 2013-2014 Club World Cup". AFP. Google News. 17 December 2011. ^ "Real Madrid coast to Morocco 2014 title". FIFA. Retrieved 20 December 2014. "Real Madrid claim FIFA Club World Cup". UEFA. Retrieved 20 December 2014. Madrid equal AC Milan's record of four world club titles, having both also lifted the old European-South American Cup three times before clinching the successor trophy, each under Carlo Ancelotti. ^ "Iran among four bidders to host 2013-14 FIFA Club World Cups". Associated Press. USA Today. 17 May 2011. ^ "Morocco set to host Club World Cup in 2013, '14". Associated Press. FoxSports.com. 17 October 2011. ^ "Reform road map speeds up". FIFA. 17 December 2011. ^ "Morocco reconfirmed as FIFA Club World Cup venue". FIFA.com. 21 August 2014. ^ "Africa Cup of Nations: Morocco will not host finals over Ebola fears". BBC Sport. 11 November 2014. Retrieved 11 November 2014. ^ "Ex-Co backs FIFA's work to help improve working conditions in Qatar". FIFA.com. 21 March 2014. ^ "Referees & Assistant referees for FIFA Club World Cup Morocco 2014" (PDF). FIFA.com. Archived from the original (PDF) on 13 November 2014. Retrieved 10 November 2014. ^ "Wilmar Roldán y su grupo ya no harán parte del Mundial de Clubes" (in Spanish). antena2.com.co. 24 November 2014. Archived from the original on 15 December 2014. Retrieved 25 November 2014. ^ "161 stars aiming to finish 2014 on a high". FIFA.com. 4 December 2014. ^ "Club delegations set for Morocco 2014 draw". FIFA.com. 10 October 2014. ^ "Path set for Morocco 2014 finalists". FIFA.com. 11 October 2014. ^ "FIFA Club World Cup Morocco 2014: Match #4 in Marrakech". FIFA.com. 14 December 2014. ^ "Ramos outshines the rest". FIFA.com. 20 December 2014.